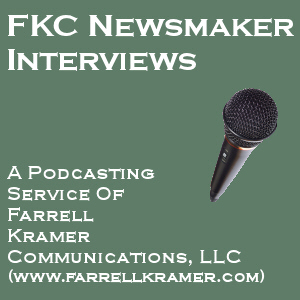 Farrell Kramer Communications, LLC has launched FKC Newsmaker Interviews, a podcasting service that provides professional podcast interviews for companies and individuals looking to publicize any type of news event. No technical knowledge is required –- only the ability to do a telephone interview on the topic at hand. 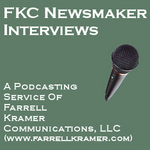 Farrell Kramer Communications, LLC (http://www.farrellkramer.com), a public relations firm built upon the belief that the power of ideas rests at the center of all communications, has launched FKC Newsmaker Interviews, a podcasting service for organizations of all sizes. FKC Newsmaker Interviews provides professional podcast interviews for companies and individuals looking to publicize any type of news event. iPods are not required. The interviews can be played through a computer’s speakers. "Podcasting is an ideal way to energize a PR announcement, complementing any news event with an in-depth audio interview. While a tremendously compelling vehicle, many companies and individuals have not moved to podcasting yet because of the significant learning curve. FKC Newsmaker Interviews eliminates that barrier to entry. A professional podcast is now a quick, easy and inexpensive option –- with a potentially big payoff in providing audiences with a truly informative audio experience," says Farrell Kramer, president of Farrell Kramer Communications, LLC. Using the service requires no technical knowledge –- only the ability to do a telephone interview on the topic at hand. Farrell Kramer Communications, LLC will conduct and record the interview, create the podcast show (including musical intro), and post the podcast on the FKC Newsmaker Interviews site (http://www.farrellkramer.com/newsmaker), where it can be played with the click of a button. Clients are free to link to this posting or directly to the podcast file, providing a seamless audio experience on their own Websites. a choice of two podcast lengths: 10 min. or 15 min. To sample one of the interviews, please visit the FKC Newsmaker Interviews site (http://www.farrellkramer.com/newsmaker). Those interested in recording an FKC Newsmaker Interview should contact Farrell Kramer at 201-768-5337 or make an information request at (http://www.farrellkramer.com/contacts.htm). Farrell Kramer Communications, LLC also offers Custom Podcasting for organizations interested in launching their own multi-episode podcast shows. For more information, please contact Farrell Kramer. Farrell Kramer Communications, LLC (http://www.farrellkramer.com) is a public relations firm built upon the belief that the power of ideas rests at the center of all communications. 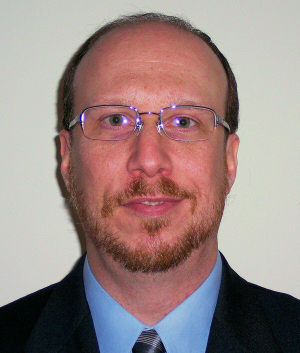 The firm was founded by Farrell Kramer, a former investigative and financial reporter who is the host of Talking Communications with Farrell Kramer, a podcast on all aspects of communications (http://www.talkingcommunications.com). FKC Newsmaker Interviews Cover ArtCover art for the FKC Newsmaker Interviews podcasting service from Farrell Kramer Communications, LLC. Farrell KramerImage of Farrell Kramer, president of Farrell Kramer Communications, LLC.